Gear.Club may have caught a lot of players’ fancy in recent days, but we’ve got another racing game you might want to check out, regardless of whether you’re an Android or iOS gamer. 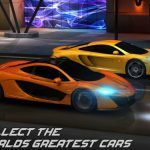 Asphalt Xtreme comes to us from mobile gaming giant Gameloft, and its slogan is a rather simple one – no road, no rules. This is an off-road racing game where you can go through dunes, canyons, muddy paths, and a variety of different challenges and obstacles en route to the finish line. The game comes with 35 different vehicles to choose from – if you want something more conventional for the off-road, you can choose a monster truck, or you might also want to go for a muscle car. And these happen to be real-life vehicles, including those made by Jeep, Ford, Chevrolet, Dodge, and other real-world automakers. You can race against Ai opponents or against human-controlled vehicles, and choose from five game modes, as you strive to complete more than 400 Career events, 500-plus Mastery challenges, and more. It’s an in-depth racing experience that may prove hard to get away from, but you may also be wondering what you can do to improve your performance and win more races. So how do you do all this and emerge on top in this all-new racing game? 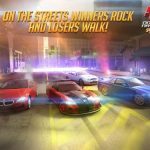 We’ll be covering that and a lot more, as we now present to you our Asphalt Xtreme strategy guide, which includes several general tips all drivers should keep in mind when playing this game. As a general rule, you can destroy anything in the game that cannot be classified as terrain, and you can do so by running it over. Boxes and barrels shouldn’t deter you, and neither should fences; just ram into them or past them, and destroy as much as you could. Destroying these items allows you to regain your nitro faster, and as any racing game veteran knows, you need nitro to help you go faster. Asphalt Xtreme gives you a lot of choices of vehicle in the game, and depending on the type of vehicle you’re using, you might be able to wreck the vehicles of other drivers. This all depends on how fast you’re going and how heavy your ride is, but if you’ve got the right car, and have the nitro on long enough, you can destroy someone else’s vehicle and watch that nitro recharge much faster than it normally would. This isn’t your standard racing game where you always have to avoid making contact with opposing cars; instead, it’s a game where you can destroy the opposition in certain circumstances. Aside from the three stars maximum you can earn after completing each level, there are two other optional objectives which you can shoot for as well. Getting three stars, just like it is in Gear.Club, is easy in terms of the type of requirement – it’s as simple as reaching first place. But the optional objectives would require you to do certain things, such as remain airborne for a specific period of time, or perform some tricks with your vehicle, such as barrel rolls. Keep the optional bonus objectives in mind while racing, and complete as many of them as possible, as they’ll earn you metal materials as a reward for your efforts. But why are materials so important? Read on, and we’ll tell you in our very next tip. Another area where Asphalt Xtreme differs from other games of its kind is in the upgrading mechanic. Normally, you can upgrade anything on your vehicle as long as you have the money, as your garage, performance center, or what have you will always have the parts you need. But in this game, you need materials on top of the regular car parts. It’s a very RPG-ish thing to include in a racing game, but it is what it is – materials and parts are what you need to upgrade, and as we mentioned above, you can get some rare materials by completing the bonus objectives in a level. Another RPG-ish element of this game is how it comes with an ability for you to string together a combo. But it’s not really a combo we’re talking about her, but rather a drift; a lot of racing games reward you for your ability to drift, and this is one of them. You can drift by hitting the brakes and turning simultaneously, and completing a successful drift can help you earn back your nitro faster. It doesn’t matter if it’s a quick, split-second drift, as even the shortest ones could give you a surprisingly ample boost. So what’s the best technique when it comes to drifting in this game? We would recommend building up your nitro until you reach the perfect three-bar mark. Hit Boost, then wait until the bar reaches red, then hit Boost once again to string together a nitro combo of sorts. As nitro recharges even in the process of boosting, you’re essentially creating a chain here, and in theory, you can cake that chain an unlimited one, allowing you to boost your nitro all throughout. Aside from taking on computer-controlled vehicles, you can also take on “real people,” meaning human drivers and their own vehicles. You can earn a card box when playing in multiplayer mode, and that goes on top of the free card boxes you get whenever you complete a season with all the required stars. Each time you win three multiplayer races, you’ll be rewarded with a card box. Now this is something you can theoretically do every day, but take note that racing in multiplayer will take a toll on your car and potentially slow it down once you return to the standard races. Remember this whenever you’re getting ready to own someone (or some people) in multiplayer mode. You may also need some help in choosing the right vehicle. You can get a leg up over your opponents by outrunning them with speed, using your nitro boost, performing stunts, doing drifts, or even by destroying their vehicles. There are a lot of ways to get ahead in this game, and depending on the stat you want to focus on, you may need different cars for different tasks or game modes. So let’s not waste any more time, and bring you some more Asphalt Xtreme tips and tricks, which includes the best cars in the game for each of the different specializations. Looking for a car that does well in terms of acceleration, or the ability to reach top speed as quickly as possible? You can try the Ariel Nomad, which is rated at only 3.60 seconds. This, and other buggies, are lightweight vehicles that could get off to a fast start with their lightning-quick acceleration figures, though the drawback of using a buggy is the high possibility that you might get bullied around by monster trucks and other large vehicles. Obviously, you want a big truck if you want to destroy a lot of opponents, and while these beasts are slow-moving grunts on the off-road, they’re also much larger than most other vehicles. And they can destroy cars easily when they’ve got nitro activated, and as we explained in the general guide, destruction helps you regain nitro quickly. Trucks are also great when destroying obstacles such as fences, barrels, and boxes. So with all that said, the Ford 3-Window Coupe has good all-around stats for its class, so you can opt for that vehicle if you’re looking for a destroyer-type. Rally cars tend to handle quite well for conventional vehicles, but the best-handling car in Asphalt Xtreme, once again, is a buggy. And it also happens to be the Ariel Nomad, which has a handling rating of 2.10 Gs. The best nitro-centric vehicle in the game is ironically a rather slow one, the Unimog U 4023. It can be filed under the monster truck category, but if you’ve got nitro turned on, you can add 44 km/h to the truck’s rather underwhelming top speed, which is a big boost indeed. It’s a big boost, but that doesn’t change the fact that the Unimog U 4023 is slow. Very slow. You may also consider rally cars, which are typically tops when it comes to regaining nitro, and these include the Volkswagen Beetle GRC, whose nitro boost leads the way in the rally car category. Buggies, as you may expect, work better than others when doing tricks or stunts, and that’s on account of their light weight and crisp handling. And for a third time, we’re naming the Ariel Nomad as our best pick as a stunt-worthy vehicle, and one that can also do well when you’re trying to string together a long drift. When it comes to top speed, you can’t go wrong with muscle cars. The Chevrolet Camaro SS, which is rated at 260 km/h, is the leader among cars that are currently available, though you will soon gain access to the Subaru WRX STI GRC (290 km/h) and the Dodge Challenger SRT8 (285 km/h), which are substantially faster than Chevy’s muscle car. Aside from muscle cars, you can also consider rally cars, as they have better nitro performance, and handle better than their mainly American-made muscle car counterparts. 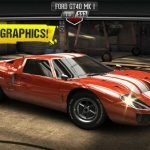 Last, but not the least, let’s look at the big picture – which vehicle in Asphalt Xtreme offers the best all-around package? When talking about general classes, we’d go with SUVs, as they aren’t especially gaudy in any area, but not especially weak either. Try the Range Rover Evoque, which has a top speed of 232 km/h, acceleration of 6.60 seconds, handling of 1.75G, and a nitro boost of 28 km/h. And it’s also big enough to destroy smaller vehicles when the nitro boost is turned on.